Listing courtesy of Keller Williams West Partners. Fabulous condo with updated windows, sliding door & stainless steel appliances! 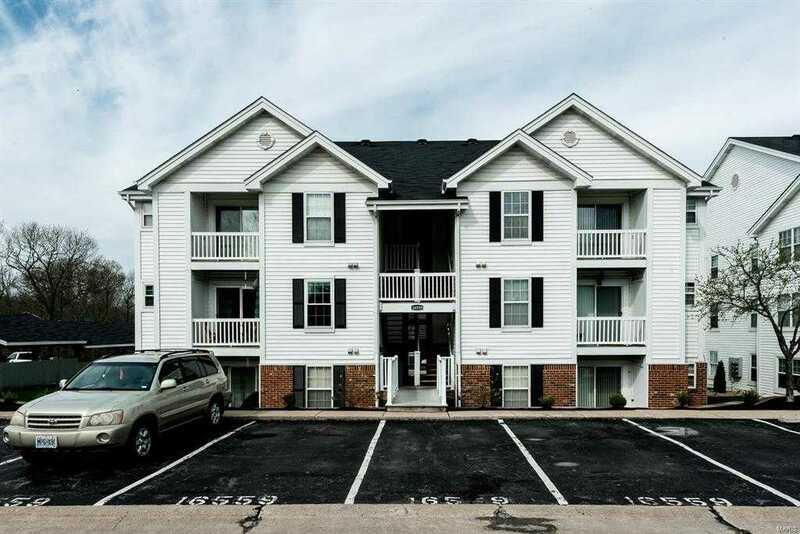 Perfect location, just a few steps up from covered parking to the front door, but above ground level for safety, & across the street from the basketball & tennis courts, playground & pool! The open living room flows into the kitchen with a deck to enjoy morning coffee. Storage closet off the deck. The master bedroom suite has a walk-in closet & private bath. Second bedroom & full bathroom on the opposite side of the home for privacy. Private laundry room. Every amenity you need is close by, including the Wildwood Town Center, grocery stores, shopping, restaurants, parks, YMCA, movie theater, schools & more! Easy access to Manchester Rd, Clarkson & Hwy 109. HOA covers grass, snow removal, water, sewer, trash & amenities, like the lake & walking trails. One covered assigned parking spot w/nearby additional. Rockwood (Eureka High) Schools. Enjoy your weekends! Live the carefree condo lifestyle! See it today!